The significance of social media to football clubs and leagues in 2015 is apparent when you quickly glance at the number of followers a player like Cristiano Ronaldo has on Twitter. The Real Madrid star currently weighs in with a staggering 32.5 million followers, a total that many popular musicians and movie stars would covet. One of the biggest football clubs on the planet, Manchester United, currently has over 4 million followers on Twitter, while the FA Premier League must surely be happy about their 7 million followers. One league that would love to grow their number of followers is North America's Major League Soccer, who currently only have 638,000 accounts following their tweets. This week I had cause to smile about something the MLS' official account tweeted as they used the hashtag #BAE when announcing the impending arrival of Steven Gerrard to the LA Galaxy. Their use of the popular slang 'Bae' came across as an elderly accountant trying to appear hip to his disinterested 15 year old son. It reminded me of the dark days of when every advertisement on the radio by law had to include a rap jingle. I'm looking in your lame direction Canada's Wonderland, you silly dickwads! I was curious as to who writes tweets like this for the MLS and what their overall social media strategy for growing the league actually is. So I contacted the league offices and to my great fortune I landed a brief interview with Nathaniel Wankdorf, the league's head of Social Media Communication. Mr Wankdorf, thank you for agreeing to talk to Footyfair. First of all, what were you or your team thinking by using the word 'bae' in the tweet regarding Steven Gerrard this week? Well, it's important for the league to exude coolness and show the kids that we're hip. The NBA has done a great job of appearing to have it's finger on the pulse of the streets and that's where we need to be as a league. On the streets. Don't you think that seems a little insincere and that 'the kids' as you call them will be able to spot a phony? I disagree. Our advanced social media analysis has shown us that brands that can connect with today's youth by using current slangs like bae or swaggy do quite well. 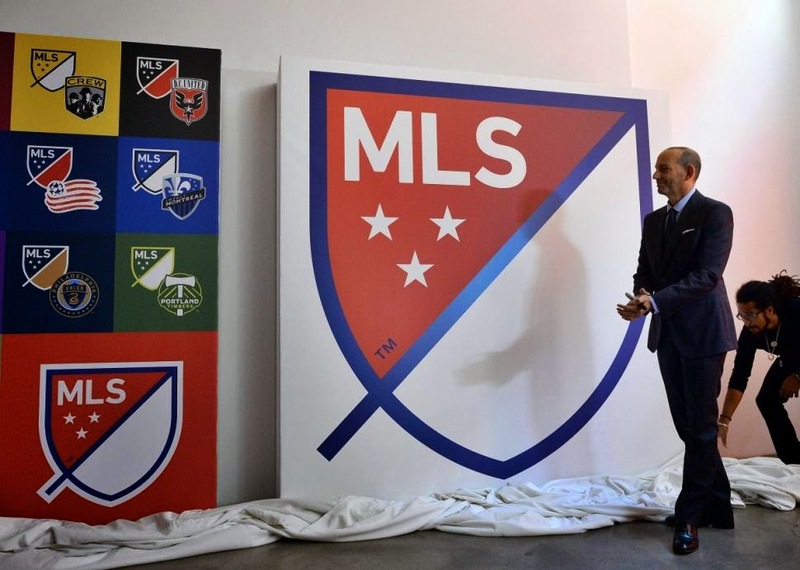 What is the overall goal of having a Twitter account like @MLS? The goal is get the word out there about our league and the personalities that play in the league. Like Robbie Keane, Jermain Defoe, Steven Gerrard, and Kaka. You just named four designated players, what about homegrown North American players? It's all about brand recognition. No ones has heard of Kyle Bob Buckwheat who plays for Real Salt Lake, but everyone knows Kaka. I think that's a little unfair on some of the emerging domestic talent you have in the league, but anyhow moving along. What is the latest on the Frank Lampard situation? Well, as far as I know we're working with the Manchester City Emirate Blues to bring Frankie over here by July. In the meantime you can get 30% off of any Lampard merchandise on our website.